If your favorite pillow becomes lumpy and uncomfortable, you can restore it to its original state. Pillows get lumpy over time as their stuffing collects dirt, debris and moisture. These materials cause the pillow stuffing to clump together. No amount of scrunching or stretching will repair these lumps. 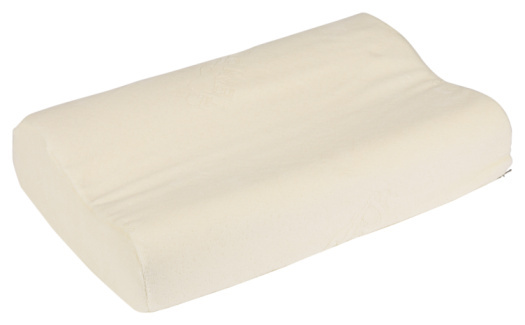 To restore your pillow to its original shape, you must get rid of the moisture and the dirt inside. The best way to do this is with a washing machine and dryer. Restore your favorite pillow to its former glory. Wash your pillow in the washing machine. For a balanced load, wash one pillow with some towels or place two pillows in the washer. If your machine has an agitator, stand a pillow on either side of it. Use the manufacturer-recommended amount of liquid detergent for a light load and warm water. Run the pillow through a second rinse cycle to remove any residual soap. Dry the pillow in the dryer on low heat or no heat. Place a tennis ball wrapped in a sock in the dryer to beat the lumps out of the pillows as they dry. It may take more than one drying cycle to completely dry the pillow. Most pillows lose their lumps at this point. However, if it's still lumpy, move on to Step 4. Remove the stitching on one side of the pillow. Pull out the stuffing and spread it on a table. Pull apart any clumps of stuffing and fluff them with your hands. Re-stuff the pillow and sew the opening shut. In between washings, place your pillow out in the sun once in a while. The fresh air and sunlight will help dry out the moisture your pillow naturally absorbs during periods of high humidity and when you sweat at night.